Arsene Wenger has finally decided to call it a day as Arsenal manager, with the Frenchman announcing he’ll quit the Gunners when the current campaign finishes in May. Without doubt Wenger will leave the North London club a legend and his legacy will last forever at the Emirates but the club’s hierarchy now need to build for the future. Plenty of names have been thrown into the ring when it comes to potential successors; like Brendan Rogers, Patrick Vieira, Eddie Howe, Joachim Low and Luis Enrique. All are fine names and have good solid CV’s but I personally don’t believe they are right for the Arsenal job at this current moment in time. To replace Arsene at Arsenal, you need to have experience at working at a pretty big club with plenty of ambition. That could probably rule out the likes of Vieira and Howe, for me. I’d also put Low into that category, yes he’s been to and won the World Cup with Germany but he hasn’t had the same weekly demands that being a Premier League boss gives you. You also need to look at Arsenal as a footballing side and ask what they need? They have plenty of attacking options but defensively they have no spine that they can depend upon, especially in the big games. Luis Enrique and Brendan Rodgers have been very successful with their possession based attacking philosophies. But you have to look at the clubs in which they were able to achieve that success. Both Barcelona and Celtic had strong squads when they took over them. At Roma, Luis Enrique wasn’t really successful in deploying his style at the Serie A club. While Arsenal have fine attacking personnel, they aren’t the same as the world class trio that Enrique had at his disposal at Barca. Plus the defence was stronger and they were already used to the same sort of tactics as they’d been playing that way for years before Luis ‘ arrival. At Celtic, Brendan has been pretty untouchable domestically but he’s been found wanting in the bigger European ties. He suffers the same problems that Arsene has had at the Emirates, in that he can’t seem to improve the backline. Rodgers had the same issues at Liverpool. 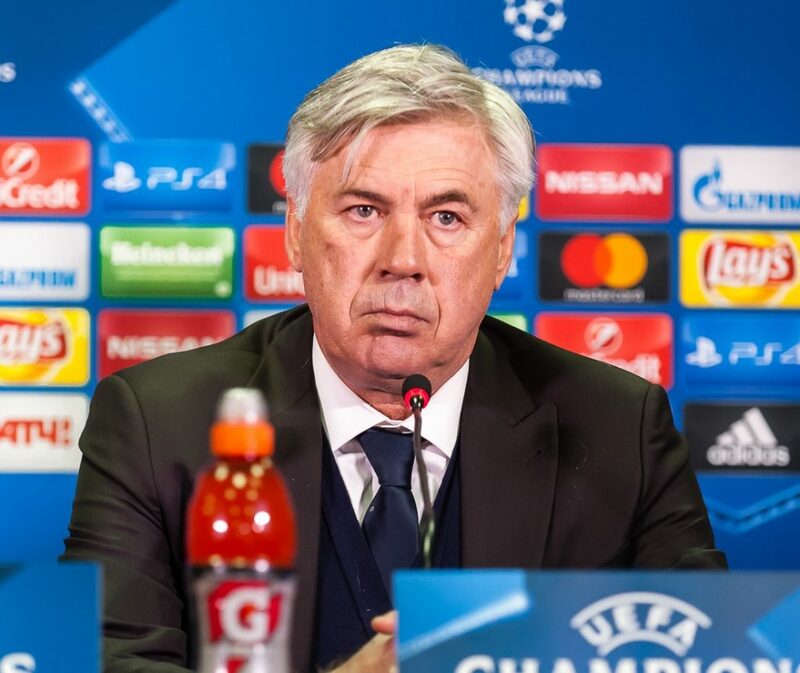 For me, If I were on the Arsenal board, I’d be keen to talk to experienced coach Carlo Ancelotti. The Italian has been out of work since his dismissal from Bayern Munich in September. His CV is pretty impressive as he’s won league titles in Italy, England, France and Germany. He has also won the Champions League three times (twice with AC Milan and once with Real Madrid). The fifty-eight year old manages to get more discipline from his teams and they are some of the best teams in European football. In total, he has managed in over 1000 matches during his career and his team’s have conceded just 890 goals. That shows you that he can organise a defence and that’s definitely the area in which Arsenal need to improve. I’m not saying Carlo will definitely secure the Premier League title for the Gunners but I do think he’d make them harder to beat in the bigger games and have them once again challenging for a Champions League place. I’d suggest getting him in for two or three years and have him build a meaner defence and bring confidence to the club again. Then after that period, you could look at bringing in an exciting talented manager who will then have the resources available across the squad that can see them challenging for the top honours again. My approach might be a cautious one and I’m sure the Arsenal support will want someone that will bring more flair and excitement but really when you think about it, Arsene Wenger had that exciting attacking philosophy for the last decade but without defensive organisation it fell apart! Ancelloti or Benitez is what Arsenal needs now. They will have to be supported by a big budget to buy players this coming summer. Team needs major changes defensively& in midfield. The centre back of Koscielney & Mustafi is horrendous. New centre backs are needed urgently.